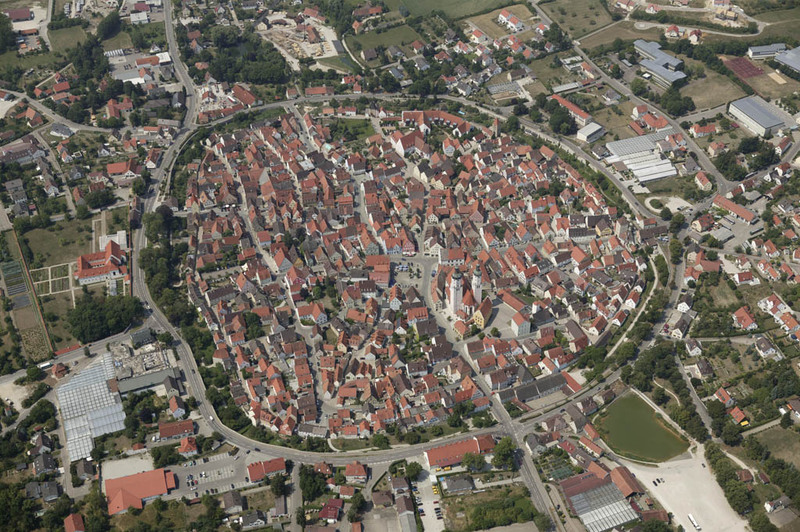 The town of the fuchsias. State-approved resort town (5,650 inhabitants). The guests of Wemding enjoy the excellence of two different landscapes: the flat plane of the Ries and the densely wooded low mountain range of the Franconian Jura in the natural park Valley of the Altmühl. 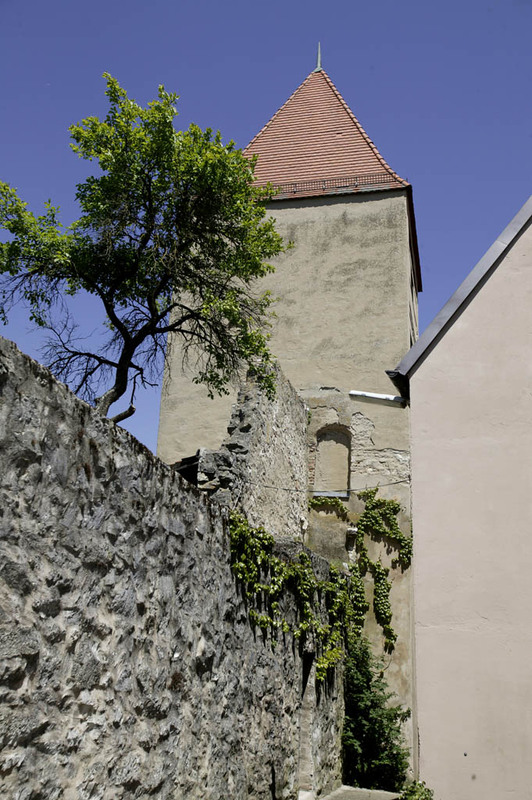 The small lively medieval town is situated exactly at the eastern rim of the Ries which was born about 15 million years ago by the impact of a meteoroid. Wemding was winner of the competition “Gastliches Bayern” and was given an award within the federal competition for ecologically-friendly tourist resorts. 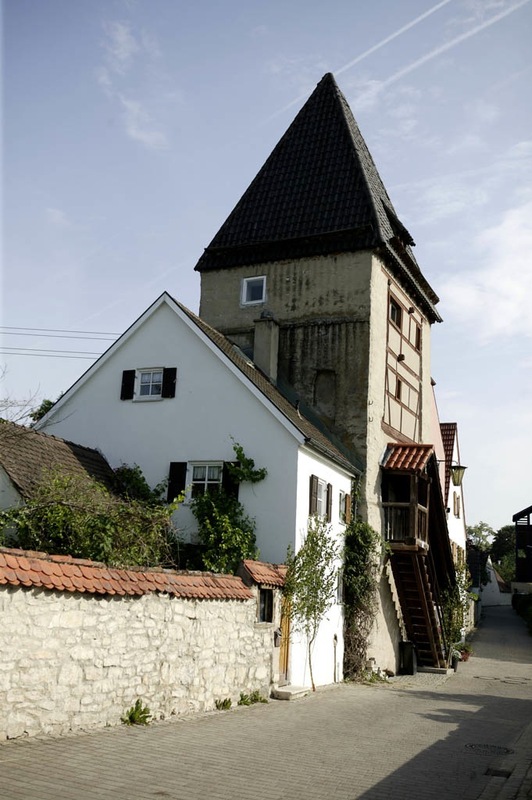 The amiable holiday location is located at the “Deutsche Ferienroute Alpen-Ostsee (longest holiday road in Germany) and is the leading holiday resort in Northern Swabia. The guest is best received in hotels, restaurants, pensions, vacation homes and on the camping ground Walsee. 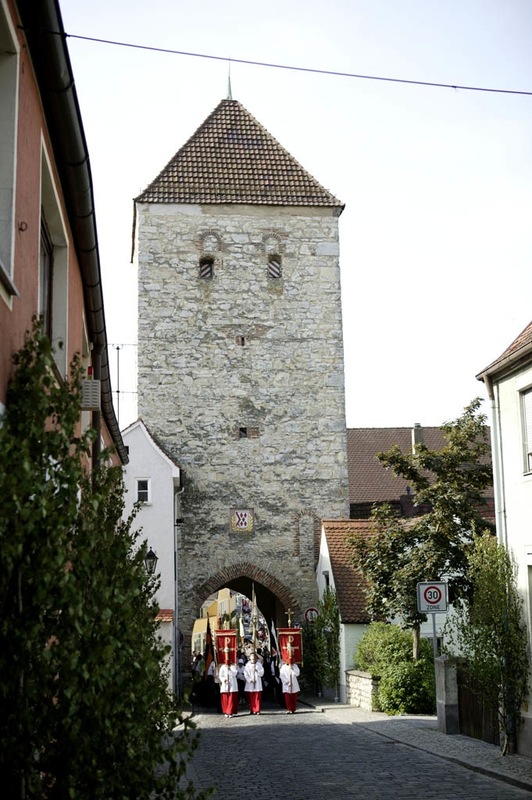 The historic city center is declared historic monument and “protected by the city walls from the first half of the 14th century with gates, towers and the moat. 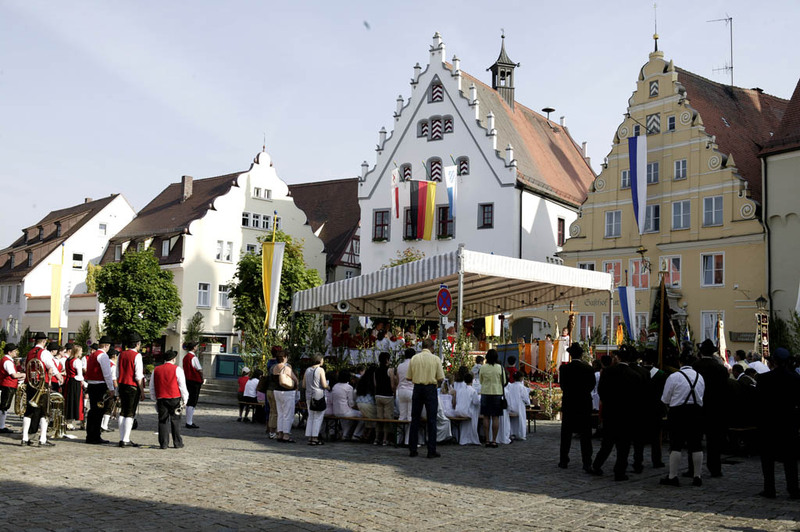 The market place with its respectable middle-class houses and the historic city hall invites you to stay a bit longer. 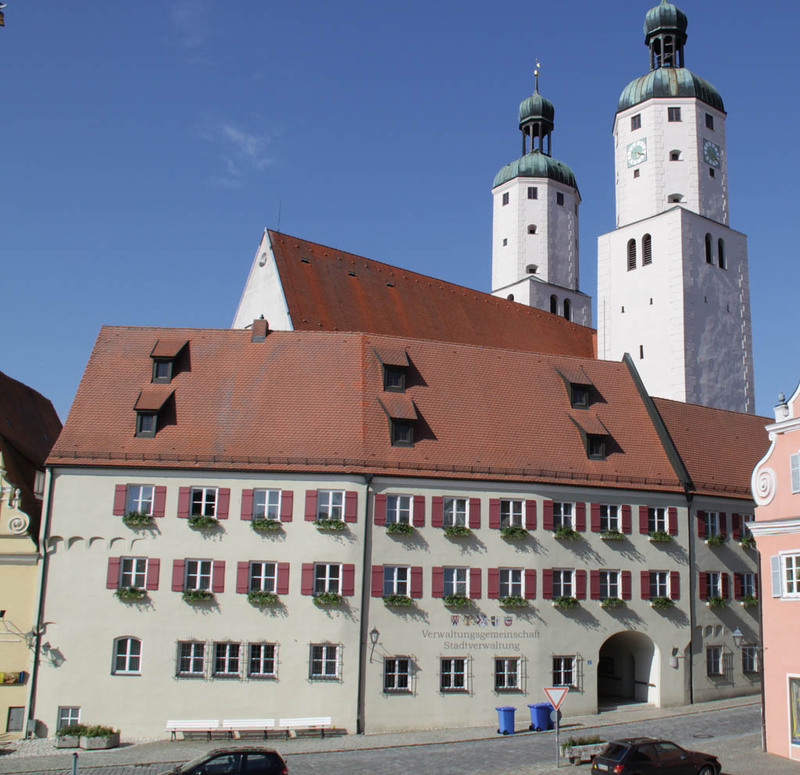 Important persons formed this town and those who want to walk their ways will discover the birthplaces of Leonhard Fuchs (who gave name to the fuchsias), Johannes Scheyring (the man on the 1000-DM-note) and Johanne von Roth, the 1st Chancellor of the Hl. Röm. Reiches Dt. Nation and bishop of Breslau. 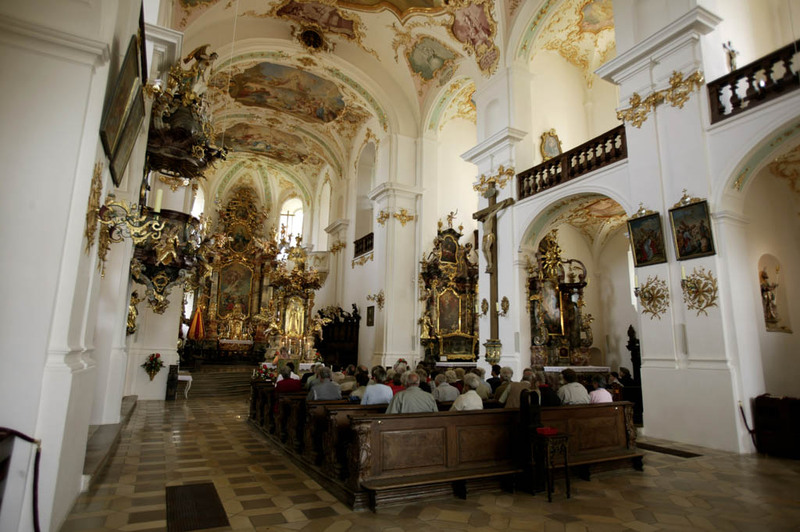 The pieces of art by Dominikus Zimmermann can be admired in the parish church. The baroque and rococo basilica Maria Brünnlein, a pilgrimage church with a unique fountain and spring altar is a particular jewel. 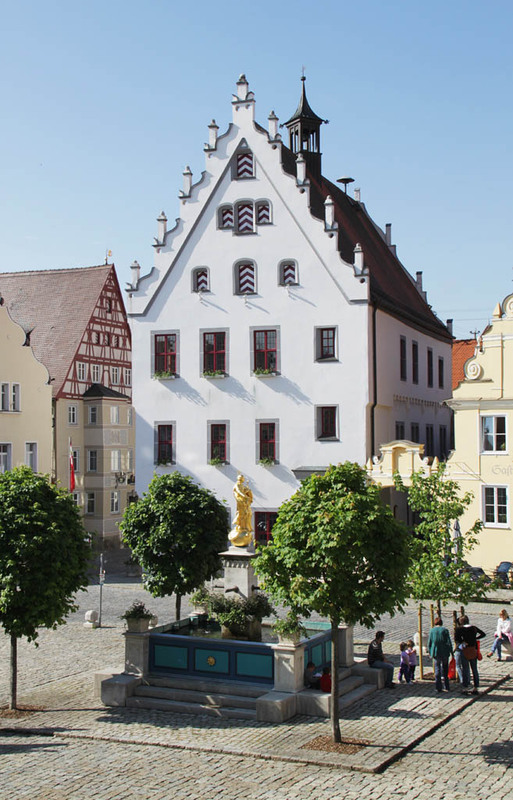 The church is one of the important pilgrimage churches in Germany. The painting of the ceiling was created by Johann Baptist Zimmermann. 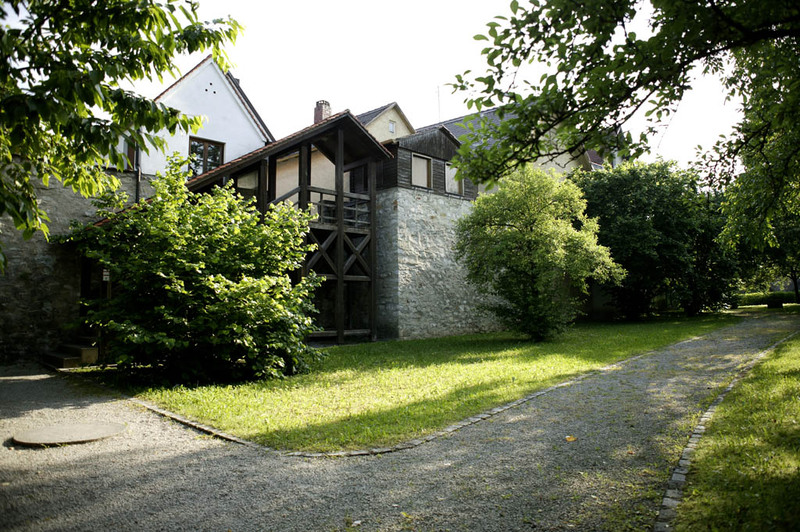 The “KunstMuseum” Donau-Ries is one of the highlights in the cultural life of the region. Indoor pool, open-air pool Waldsee, biking trails, hiking trails, parks, tennis, riding, mi ni golf, Kneipp facilities, cinema, fishing, shooting, bowling, pedagogical forest path, fitness trail, ice-skating, disco, sauna, solarium, fitness studio, boccia.